1. Last year saw the publication of the 2015 Strategic Defence and Security Review (SDSR) at the same time that British Armed Forces, mainly ‘Air and Maritime’, were being tasked in the Baltic and Middle East (ME) regions. An international deal on curtailing Iranian nuclear weapons ambitions has been signed whilst North Korea continues to develop its nuclear weapons technology notwithstanding international and Chinese objections and Russia continues to perplex the West through opaque intentions and aggressive actions. 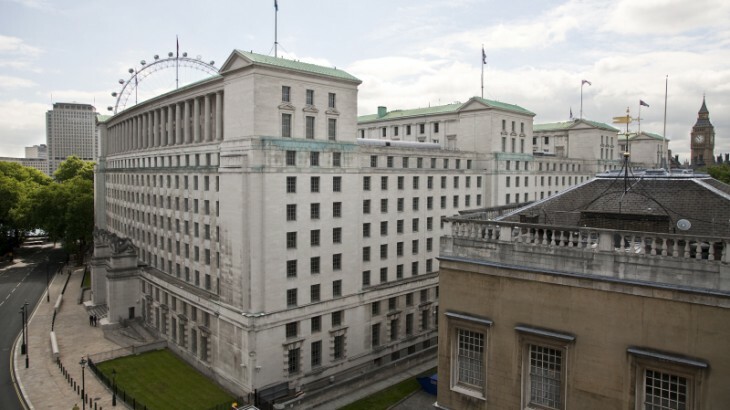 Whilst domestically, the United Kingdom (UK) Ministry of defence (MOD) is stated to be falling short on implementation of 5 key reform areas; the UK gears up for an In/Out vote on its place in the European Union and the long established political consensus on the UK Trident based nuclear Continuous at Sea Deterrent (CASD) is crumbling. a. MOD Central Staff Reform – based on Lord Levene’s 2015 4th Report. b. SDSR 2015 – Force Projection Enablers and Defence Planning Assumptions (DPA). c. UK Continual at Sea Deterrence (CASD) – International aspects, cost implications and domestic political turbulence. 3. DS will examine each of these areas in turn and offer Her Majesty’s Government (HMG), MOD and the House of Commons Defence Select Committee (HCDC) considered thought on how the issues might be managed to achieve a cohesive Strategic direction. The latter, not being fully articulated by HMG, poses an open ended target, albeit one, for DS purposes, based on the National Security Strategy (NSS) which arguably links UK’s unchanging future world wide role to a ‘Maritime/Air Centric’ force projection strategy and the continuance of CASD. • Reduction and rationalisation in the senior staffing/grading of Central Staff to match the reduction in Front Line Command (FLC) structure thereby creating clearer lines of command and control. • HMG to measure MOD/FLC’s through ‘output’ achievement parameters rather than, as now, through ‘input’ metrics. • FLC’s to be given greater authority to flex within budgets to achieve ‘output’ targets. • Treasury accounting reform to allow true carry-over of end of year underspend. • More focused reform of the Defence Infrastructure Organisation (DIO) with control over budget and ‘output’ given to FLC whilst at the same time reducing the size of the defence estate. 5. SDSR 2015. – Force Projection Enablers and Defence Planning Assumptions (DPA). DS has already presented its concerns regarding SDSR 2015 to the Chairman of the HCDC. We welcomed the strategic setting which, tacitly, allows for a cohesive general direction of travel, especially as the defence budget is to be protected, but we were concerned that too many of the capabilities being discussed were well down stream and unsupported by sufficient enablers to be fully effective. To a degree DS viewed the SDSR 2015 as a rhetorical exercise designed to say the right thing whilst in actuality allocating spending on new or enhanced capability to future years with little attention being paid to the operational imperatives, manpower (morale) and sustainment issues involved. Indeed, it was noticeable that the DPA was totally absent as, it seems, it is still being developed. Therefore, DS will be following-up on these issues and much attention being given to deployment enablers, readiness states, regeneration capacity and the dearth of UK anti-missile defences. When it is published we will consider the DPA assumptions and plans for the deployment of UK forces and contrast to new DPA with its predecessor which, by necessity and threat analysis, assumed unrealistic long lead times before deployment (up to 6 months for a Brigade or more) over largely uncontested lines of communication. 6. UK CASD. – International aspects, cost implications and domestic political turbulence. DS has already presented its case for the retention of a 4 boat CASD Trident system and remains committed to a position which ensures UK’s international standing in the United Nations (UN) and North Atlantic Treaty Organisation (NATO) and as a ‘last resort’ defence against nuclear attack or blackmail. However, as the announced cost of ‘Successor’ rises from circa £21bn in 2011 to circa £31bn (plus £10bn contingency) in 2015 pressure must be brought on MOD and UK industry to fully explain why the United States Navy (USN) are projecting the cost of their similar replacement boats to be circa £3.5bn each at today’s prices. If permitted, we will present our CASD case to HM Official Opposition, where considerable uncertainty is being generated through an apparent lack of cohesive thought and a return to 1980’s era anti-nuclear policy.